UPSC released admit card for NDA NA(I) Exam 2019. Exam is scheduled to be held on April 21st, 2019. 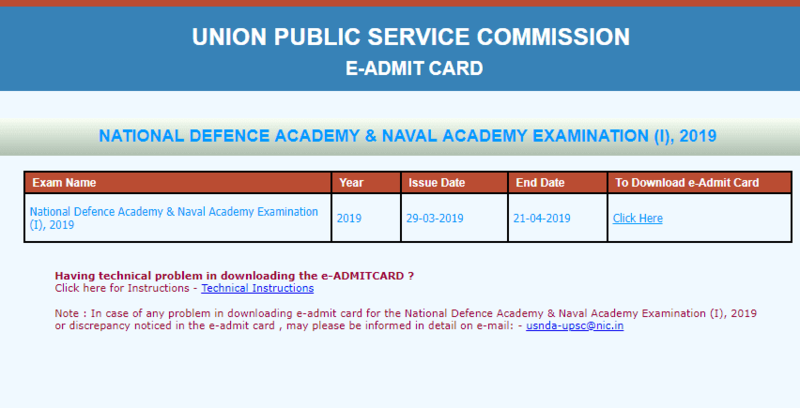 UPSC NDA NA(I) 2019 admit card: Union Public Service Commission has published admit card for National Defence Academy and Naval Academy Examination (I), 2019. Candidates who applied for the examination can download their admit card at the official website of UPSC upsc.gov.in or a direct admit card link given below.